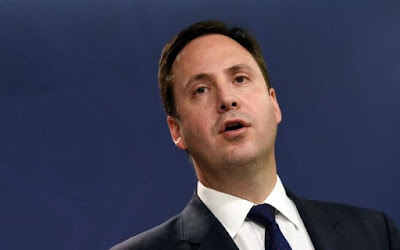 Steven Ciobo, Australia’s Trade Minister, will land in London this week offering to do everything he can to help Britain make a success of life outside the European Union. As a gesture of Australia’s good intent, the Canberra government will offer to lend Britain some of its expert trade negotiators. Although Australia is used to negotiating its own trading deals, there is a dire shortage of these specialists in Britain as all deals affecting the UK have been negotiated by officials in Brussels for decades. Mr Ciobo sees a way forward. This week, he will hold his first face-to-face crucial talks with Liam Fox, the International Trade Secretary, about forging a landmark free commerce deal between the two countries. For his part, after the talks with Mr Ciobo in London, Dr Fox plans to pay a return visit to Australia in the near future. The mood music is undeniably upbeat between Theresa May’s government and the Australian administration of Malcolm Turnbull. But why is such a pact significant for Britain? What would it involve and what would it mean for the UK’s future outside the EU? The first hurdle for any UK-Australia agreement, as Mr Ciobo has already been warned, is that Britain is legally banned from signing new free trade agreements while still a member of the EU. 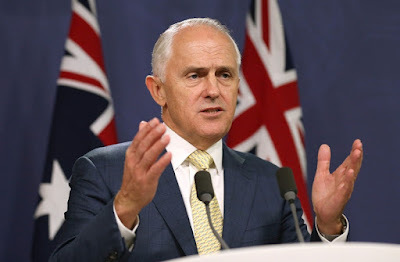 Australia – and other countries – will also want to wait to see how good an exit deal Britain gets from Brussels and what kind of access the UK will have to the European single market before signing on the dotted line. However, a senior British source explains that Downing St is determined to pre-arrange as many trade deals as possible, ready to be signed as soon as the UK leaves the EU. The next step after Brexit is likely to be for Britain to join the World Trade Organisation in its own right, according to Dr Steve Davies, from the Institute of Economic Affairs think-tank. Currently, Britain is represented by the EU at the WTO. As a full, independent member of the WTO, however, Britain will be able to strike formal trade deals with other individual WTO members, such as Australia. Then, it will be a matter of identifying the preferential trade arrangements that Britain and Australia want with each other, removing barriers to commerce and cutting tariffs. Mr Ciobo says he believes there is scope for a possible deal involving financial services, such as banking, which is key to both the British and Australian economies, as well as financial technology companies. Other possibilities could include deals on the trade of meat from Australian farms, giving British consumers a cheaper supply of beef, veal and lamb. Minerals such as iron ore, used in steel production, are also a key export for Australia. For Britain, Australia would offer a potentially growing market for the export of manufactured goods and financial services, such as banking and insurance, according to Dr Davies from the IEA. However, once the broad outlines of trade have been agreed, Dr Fox, Mr Ciobo and their teams will have to discuss the fine print of the regulations for the goods and services that are likely to be covered by the pact. For example, the laws governing the rearing of livestock would need to be judged to be equivalent between the two countries in order for the deal to cover meat exports, as would financial regulation systems for banking or insurance services. This process of “harmonising” regulations between different countries is typically long and complex, which is one reason why ministers are keen to work with a country like Australia, where the political and legal culture is very similar to Britain’s. According to Mr Ciobo, Australia also offers the UK “a terrific launch pad” for businesses wanting to expand into Asian countries, which are among the fastest growing economies in the world. “We know that over the next decade or so there will be around three billion people that will constitute the Asian middle class,” he says. “We have seen growth rates across the region consistently at between five and 10 per cent for many Asian countries”. Perhaps most significantly in the short term, the prospect of a deal with Australia is hugely symbolic for Mrs May’s new Conservative government. 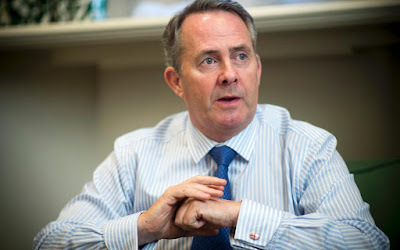 Dr Fox, the Brexit campaigner and Trade Secretary, is thought to regard a free trade agreement with Australia as a prize symbol of Britain’s global intentions, showing the government’s willingness to look to do business on the other side of the world. Commonwealth countries such as Australia and New Zealand are particularly well placed for deals with Britain. This is because they share the English language and have very similar legal systems and political structures. At the G20 meeting in China, Mrs May will also hold talks with the Indian Prime Minister, Narendra Modi. Dr Fox visited India last week. According to Dr Davies, an economic historian from the IEA, these moves suggest Mrs May’s team could planning to prioritise the Commonwealth countries for the first round of free trade deals after Brexit. Mr Ciobo agrees that the historic links between Britain and Australia are key. “We have institutions and policy frameworks that are very familiar for those coming from the UK,” he says.